The IICC will have a dedicated underground Metro station which will be an extension of the airport high speed metro corridor. New Delhi: On 20 September the Prime Minister Narendra Modi will lay the foundation stone of India International Convention and Expo Centre (IICC) in New Delhi. He further added that it will rank among the top 10 in the world and the biggest indoor exhibition space in India,” the project is expected to generate over 5 lakh employment opportunities. The project is planned for an area of 221.37 acre in Sector 25, Dwarka here, with an estimated cost of Rs 25,703 crore. The IICC will be an integrated complex which will provide various facilities like exhibition halls, convention center, and open exhibition spaces, mixed use commercial spaces like star hotels (5, 4 and 3 star), retail services and high-end offices. The construction will be in done with green building principles and Indian Green Building Council (IGBC) Platinum rating standards. The convention center can accommodate total 11,000 persons, 5 exhibition halls, 1-kilometre long foyer, and multi-purpose arena with retractable roof. This project will be developed in two phases. The Phase-I and Phase II will be completed by December 2019 and December 2024, respectively. 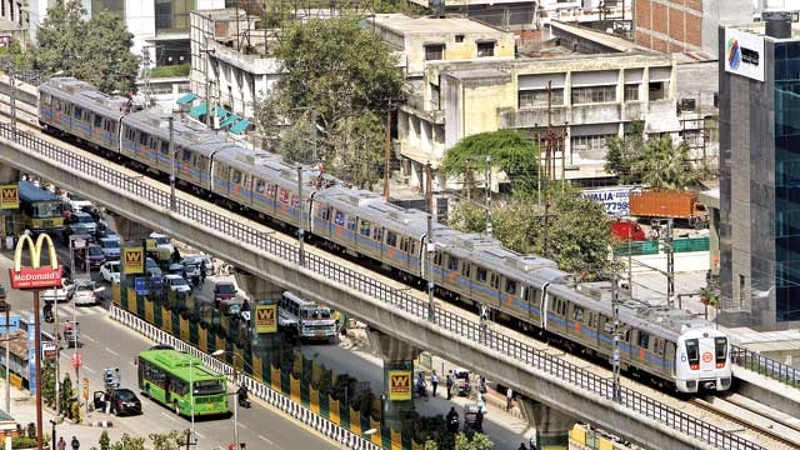 The IICC will have a dedicated underground Metro station which will be an extension of the airport high speed metro corridor and is being constructed by Delhi Metro Rail Corporation (DMRC). This project will be completely being implemented by India International Convention and Exhibition Centre Ltd, a 100 per cent government-owned company set up by Department of Industrial Policy and Promotion (DIPP).